Having my own dental practice is a dream come true for me. 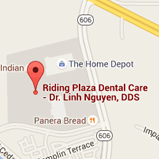 As an undergraduate student, I spent multiple summers working as a dental assistant right here in Northern Virginia. This experience reinforced my conviction to both pursue this wonderful profession and to eventually return to the area I loved so much growing up. I treasure my experience as a dental assistant because it has given me additional perspective to deliver a consistently positive experience for my patients. Although my formal education is complete, I constantly continue my dental studies through courses and seminars both locally and nationally. Being a dentist is a lifelong learning opportunity, with new developments in both materials and techniques emerging every year. I constantly seek out and attend continuing education classes in order to bring the most informed perspective I can to the treatment of my patients. 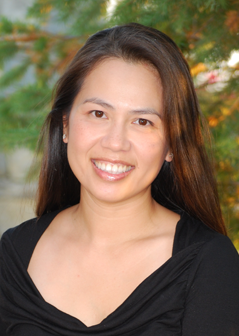 I have been practicing dentistry for over 18 years, and I love working with the people in our community. I am fortunate to serve such a wonderful and diverse group of patients that spans many cultures and generations! I enjoy catching up with our patients and sharing stories. It's what makes our office a truly family-friendly place and a fun place to come to work. Being a dentist comes with the challenge of helping new patients overcome any anxiety they may have about coming to the dentist. I always take the time to make each patient feel comfortable and relaxed, and make sure they have a great experience here. There is nothing more rewarding than seeing a new patient leave with a smile! I am blessed to have a truly special and talented team who share the vision of our practice. As residents of the neighboring community, we take pride in contributing to the quality care of our patients. My staff has remained the same since we opened, and we work well together to provide a great experience for our patients. After traversing the Northeast with my husband, Elliot, while pursuing our undergraduate and graduate education, I was thrilled to return home to the Northern Virginia area. Finding the beautiful South Riding community in which to raise our two wonderful children has been a blessing beyond our expectations. When I'm not at the office, I treasure being an active parent to my children and shuttling them around to many of the terrific activities we have in the area. When I find time, I also enjoy reading on my Kindle and practicing yoga.